We are Avenue J, an on demand production company making customizable products at affordable prices. We have no order minimums, and no design fees. With a library of over 1,500 designs to choose from, as well as our in-house design center, we can make your vision come to life! Founded in 2011 by Jackie Edwards and her love to embellish products and make them unique and individualized. Her first product was the popular Redneck Wine Glass. Like so many other entrepreneurs, Jackie started this business with just the support of her husband, family and God. 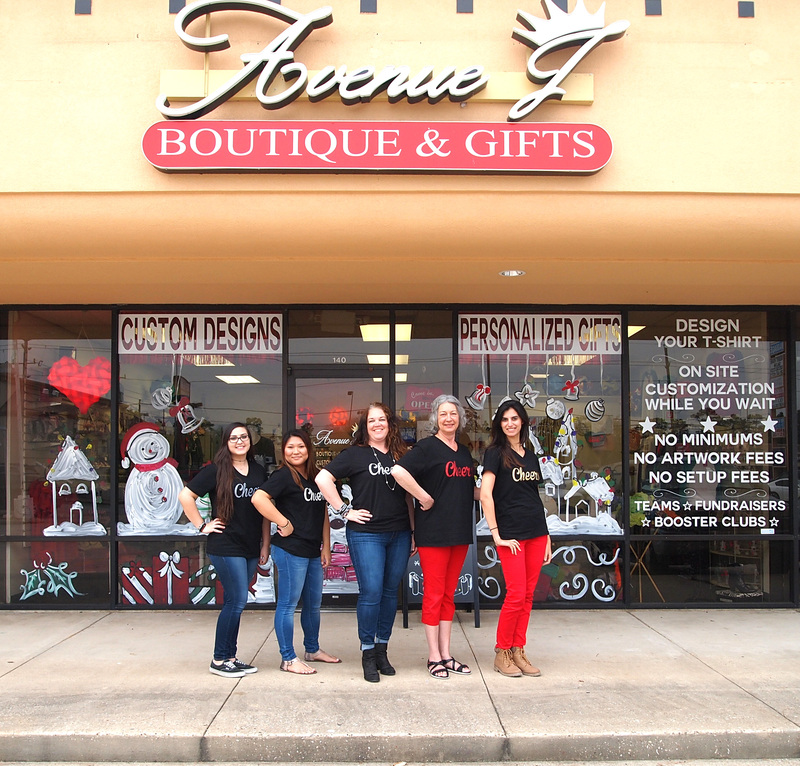 This labor of love has since grown into an on demand graphic tee and embroidery production company in Spring, Texas, where Jackie and her staff create stock designs and customizable products in our design center & showroom.